Salzburg has been one of Austria’s most popular ski destinations for years, with extraordinary slopes, amazing snow coverage and outstanding facilities persuading skiers to come back year after year. As part of the magnificent Zell am See - Kaprun region, there are plenty of incredible runs for skiers and snowboarders to enjoy, ranging from nursery slopes for newcomers to intermediate and advanced routes for those looking for a bigger challenge. This smart little lakeside town is packed with charm, offering a good range of shops, bars and cafés and a traffic free centre. During the height of the winter the lake freezes over enabling you to walk from one side to the other, while activities such as curling and skating are practised upon it. 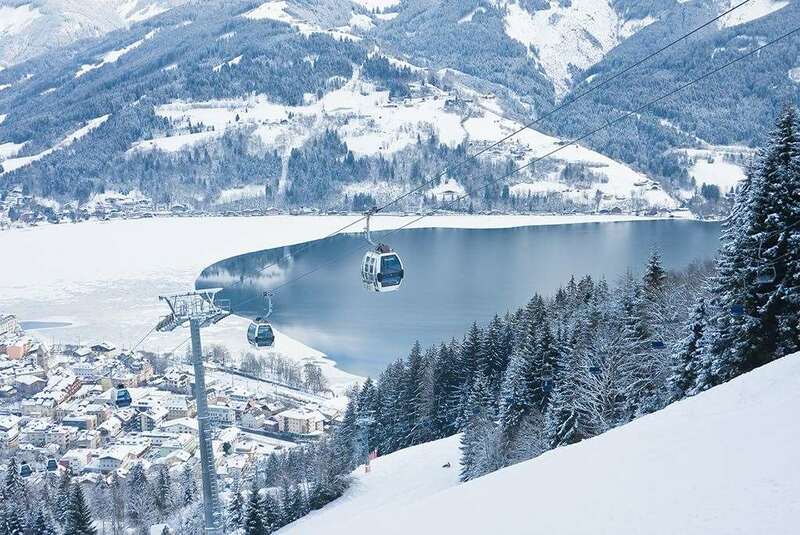 With jaw-dropping views of the Alps and a friendly, hospitable atmosphere, Zell am See continues to attract beginners to wintersports while providing enough fun for experienced tourists. The glacier resort of Kaprun neighbours the resort and it is easily reachable by a local ski bus service. Therefore, there are sure to be some fantastic ski options regardless of your ability and, with plenty of family-friendly attractions, it’s a great getaway for kids and adults alike. Even though ski runs are obviously important for skiers and snowboarders, a resort needs to be friendly and hospitable, and Zell am See certainly ticks off all the boxes. Along with its phenomenal terrain, the resort offers a host of other attractions, including a wide selection of shops, cafes and bars. There are other sports available, too, such as curling, skating and hiking, which allow visitors to get closer to the stunning natural environment. The village centre has a distinctly medieval appearance, making it one of the more aesthetically-pleasing ski areas in Salzburg. It’s also completely traffic-free, enabling faster and more efficient travel for visitors. The Zell am See area benefits from a picturesque setting next to Lake Zell, providing breathtaking views of the nearby mountains and the beautiful Kitzsteinhorn in Kaprun. With a ski season that runs from December to April, there is plenty of time for skiers and snowboarders to explore Zell am See. The snow coverage is excellent throughout this time period and there are snowmaking facilities available in case of a dry spell. There is a selection of wooded slopes that provide magnificent views of the nearby Lake Zell, while low-altitude runs are available for less experienced visitors. With such a wide variety on offer, it is easy to see why more and more people are attracted to this unique resort. Across Zell am See and Kaprun, the terrain is between altitudes of 760m and 3029m, with 140km of runs across the two resorts. With 47 ski lifts scattered across both areas, it is also very easy for residents to get around. Alpincenterpiste, Rettenwandpiste and Kreferdelpiste are just three of the top runs for beginners, while the Langwiedpiste, Kristallpiste and Gletscherseepiste routes are ideal for intermediates. On the other hand, experts are likely to appreciate the tough Black Mamba and Maurerpiste 1 and 2 runs. At 1000m long and 290m in altitude, the Black Mamba is sure to be a tough challenge for whoever takes it on. There are plenty of other options for skiers and snowboarders, too. Routes for freeriders, snow parks and a new super pipe are just some of the leading options for those searching for something a little different. 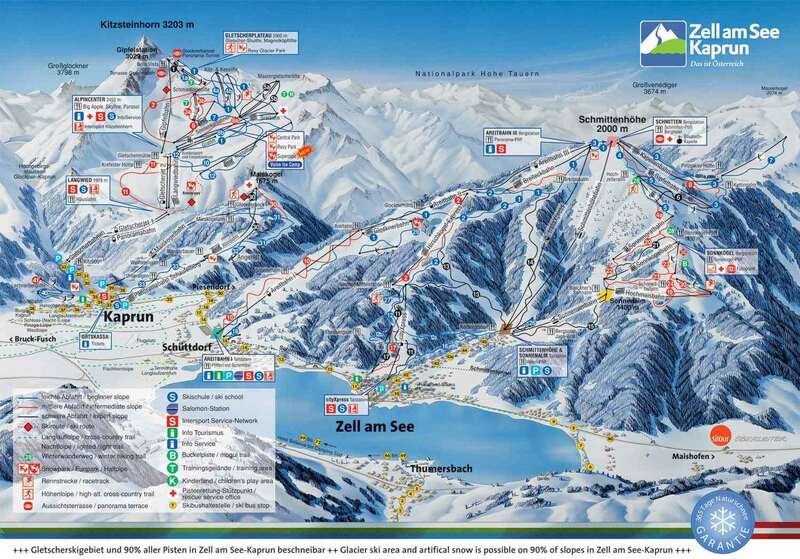 There is a wide selection of apres ski options across Zell am See, including some excellent bars and restaurants. Ginhouse, Crazy Daisy, Shaker’s, Murrays Irish Bar and Bar Jackare some of the best bars in the area. You can even enjoy a relaxing day in one of the many excellent rustic ski huts across the resort, with mulled wine and breathtaking views available. Overall, there are 22 bars, restaurants and discos spread across the area, making it one of the best spots for varied and exciting night-time entertainment. Salzburg Airport (50 miles away) is the closest airport for skiers and snowboarders, while Munich Airport is around 125 miles away. I’m just back from Zell and it’s a great place and suits all needs. I went with my partner (non skier) and two pals and it worked out fantastic. My partner purchased a pedestrian ticket and used the walking routes to meet up with the 3 of us for lunch, the restaurants were great, the views fantastic and people were so friendly. Skiing zell was great and red 21 awesome, the glacier views and the black mamba is something I’ll never forget. A resort for everyone st any time of year.